For all the hopes and excitement being generated by the China-Pakistan Economic Corridor (CPEC), it is easy to lose sight of why and what exactly CPEC means for the country in its present socioeconomic context. For years, Pakistan’s economic stagnation has been directly linked to its inability to surmount key developmental challenges. Its decades old infrastructure and increasing stress from a fast rising population, has given way to a vicious cycle of underdevelopment, severely limiting its ability to progress in the 21st century. China’s $62 billion injection of developing key infrastructure under CPEC is poised to directly address this gap, offering nothing short of an economic life-line to Pakistan. 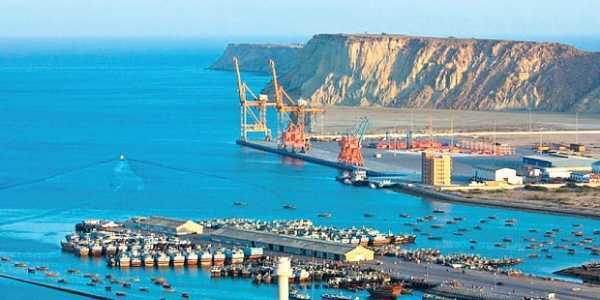 Especially considering the long continuing financial and energy crises, CPEC’s targeted focus on boosting Pakistan’s transport and energy infrastructure is being touted as a much needed panacea to the myriad socioeconomic developmental challenges limiting the country’s progress. The purported benefits to the country’s exports, with stronger foundations for its agricultural and manufacturing sectors come out as the most obvious benefits. However, while these long-standing infrastructural gaps in the country’s development agenda have been repeatedly highlighted, little to any attention has been given to the glaring threat of climate change and its increasingly adverse impacts on the country’s development potential. The fast worsening water crisis, diminishing air quality, erratic crop yields and rampant deforestation are all just a few of the grave threats being posed for which there seems to be little to any impetus at the policy level. Similarly, the effects of extreme weather events such as prolonged droughts, flash floods, heat waves and erratic monsoon patterns continue to threaten the country’s water, food and energy security, greatly limiting the impact of ongoing developmental efforts. In his keynote speech at the Belt and Road Forum held last year in Beijing, President Xi Jinping declared that the Belt and Road Initiative would be ‘green, low-carbon, circular and sustainable.’ Considering that CPEC as part of the overall Belt and Road Initiative is an attempt to internationalize the Chinese Development model, this emphasis on promoting environmental stability along with massive state led infrastructure roll-outs present a unique yet highly welcome direction for future developmental efforts. As Francis Fukuyama has rightly pointed out, this emphasis on building massive infrastructure projects based on enhancing roads, sea ports, railways, airports and energy production has characterized the Chinese development model for over the last few decades. When considering how development models themselves have been internationalized, the Chinese model stands in stark contrast to more recent US and European International Development efforts, that tend to focus more on investing in public health care, women’s empowerment, support for civil society, and anti-corruption measures. It is no surprise why the Chinese impetus on investing in massive infrastructure projects as part of the BRI has been welcomed across the world, particularly by developing nations. Yet, it is up to these developing nations to ensure that these projects are also used to address their unique developmental challenges in an environmentally sustainable manner. The political and financial will from the Chinese side is clear in this regard. Over the last few years, China has taken clear concerted steps in remedying the environmental and ecological impacts of its rapid economic development. It has invested billions into renewable energy, while prioritizing water, air and soil conservation. It has employed state of the art technology coupled with stringent regulations and enforcement. It has called for institutional reform and drafted clear guidelines and targets for what it wants to achieve as part of its overarching vision of building an ‘Ecological Civilization’. Extending this vision to the BRI and consequently CPEC, policy makers on our side of the border too need to arm themselves with the necessary policy tools and information when taking into account environmental and ecological concerns. Moving beyond rudimentary Environmental Assessment Impacts (EIAs), there is a severe dearth of political will and financing when it comes to employing pragmatic solutions to improving water and food security. While fulfilling the Energy gap has been a highlighting feature of the entire CPEC initiative, the potential for improving water conservation both within the country’s urban areas and agricultural and farming complexes for instance, has received little to any attention other than on paper. Countless lessons can be gleaned from China’s own experience of transitioning from environmentally unsustainable progress to greener initiatives. Its recent Sponge city initiative for example presents a ready-made model for combating excessive flooding and water scarcity in urban areas. Through a combination of smart engineering and stringent enforcement the initiative aims to absorb and reuse rainwater to help replenish depleting ground water reserves, while reducing flood risks. Other initiatives have involved putting forth strict guidelines and penalties for soil and air pollution, where clear and enforceable laws have allowed the government to penalize polluters and set targets for what it considers as environmentally sustainable levels. All of these and other similar initiatives can be easily deployed within the CPEC framework. Recent steps taken to address the growing water shortage in Gwadar for instance are definitely taking this initiative in the right direction. However, there is still a lot more that can and should be done at the provincial, federal and regional levels. CHINA: Veteran protests: Is this time different?